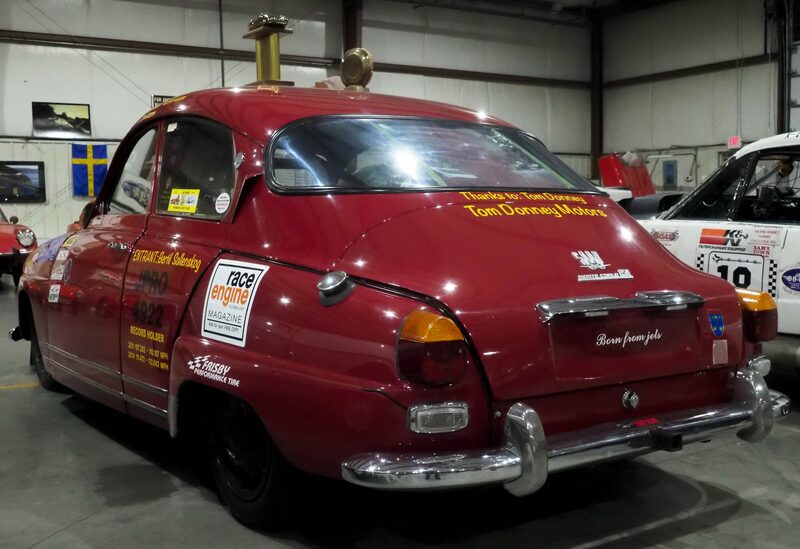 This car was built and raced at the famous Bonneville Salt Flats by the late Bertil Sollenskog of Chicago, Illinois. Bertil was a Swede who immigrated to America in the early 70’s. He was world renowned for his formula V engine rebuilding skills. 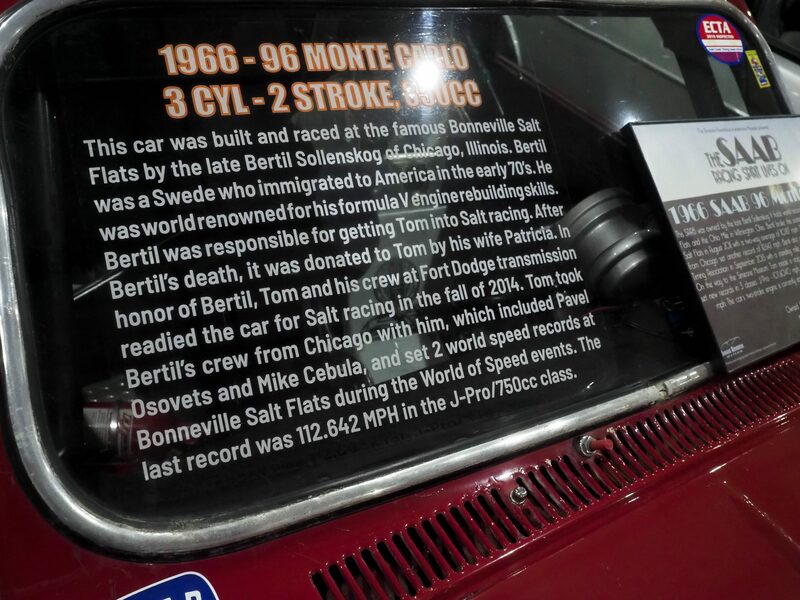 Bertil was responsible for getting Tom into Salt racing. After Bertil’s death, it was donated to Tom by his wife Patricia. 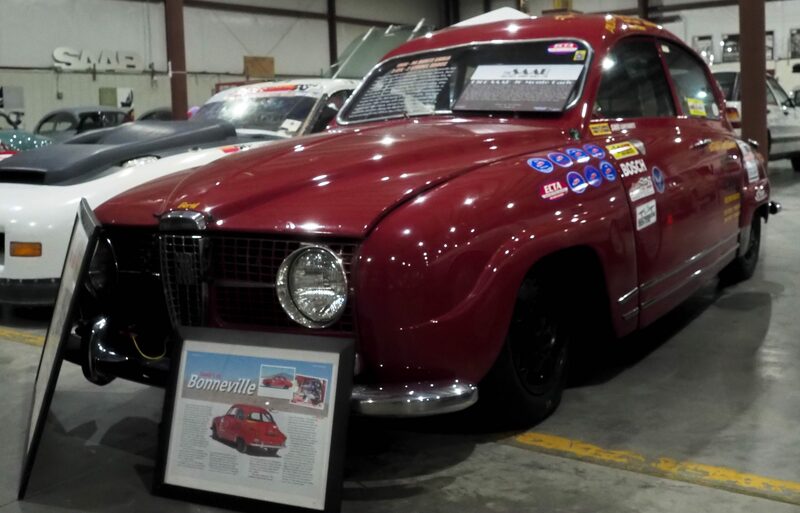 In honor of Bertil, Tom and his crew at Fort Dodge transmission readied the car for Salt racing in the fall of 2014. 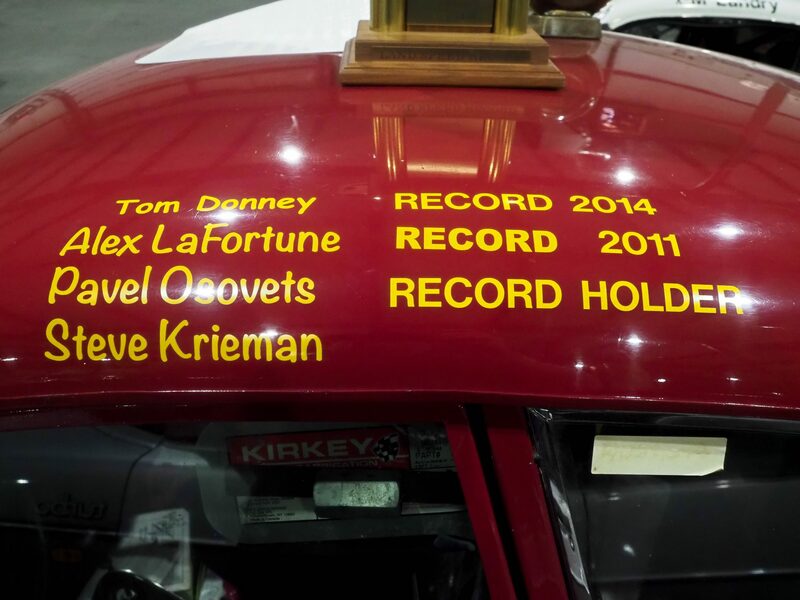 Tom took Bertil’s crew from Chicago with him, which included Pavel Osovets and Mike Cebula, and set 2 world speed records at Bonneville Salt Flats during the World of Speed events. The last record was 112.642 MPH in the J-Pro/750cc class.